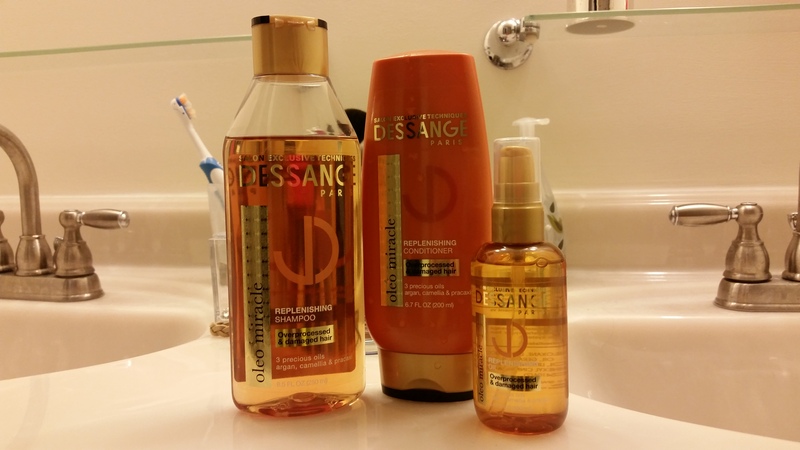 Recently, I had the opportunity to test out the new Dessange Oleo Miracle Replenishing Three Step System. It consists of a shampoo, a conditioner and a leave-in replenishing oil treatment, all designed to replenish dry, damaged hair. It’s easy to use, starting first with the shampoo and conditioner and then applying the treatment and the bottles are made to look very high-end, with a mix of golds and coppers, fairly unusual hair product colors which I’m sure will make them pop on the shelves. Also, the scent isn’t horrible–kind of a spicy, cologne style versus the usual clean florals of many shampoos. Fresh from the shower post-conditioner and yet frizzy and dry. Now, with that said, the product just fell flat for me. I used it for a week, although if I had purchased it, I probably would have quit much sooner. The whole system is all about its “three precious oils–argan, camellia and pracaxi.” What it doesn’t highlight, of course, is that the second ingredient in the shampoo is a sulfate, plus its full of a variety of alcohol and other chemicals. The oils aren’t listed until much lower in the ingredient list, signifying that there’s probably not much of them actually in the bottle. Because of the ingredients, I wasn’t really surprised when it massively dried my hair out. The “replenishing” conditioner didn’t do much to help the situation. 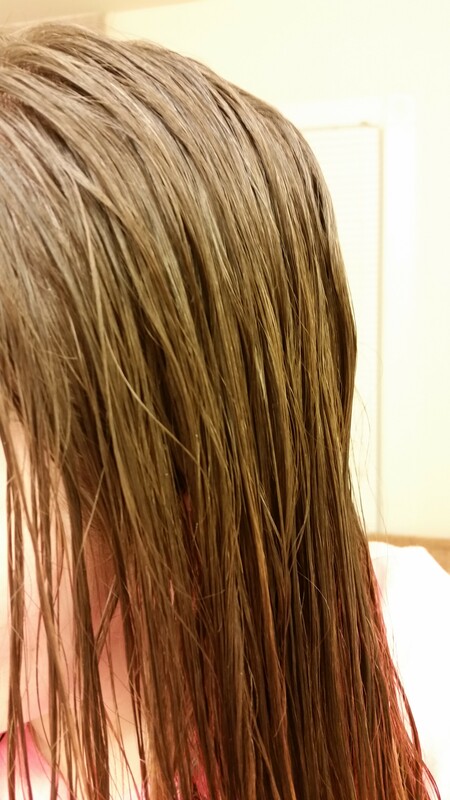 Then, adding the oil, which you’re encouraged to use 2-3 dime size drops, I used two, somehow creates this oily, grease slick, yet frizzy and dry hair. It’s fairly odd and I’m definitely not a fan. I have very long, thick hair and moisture is important to me. This just didn’t work. I’m not sure why something that is supposed to be replenishing would use ingredients that are obviously not replenishing. Then, to get the shiny hair it says it’ll give you, it’s like they just said let’s oil things up, because oil creates shine, right? Yeah, I’m fairly certainly that’s not the kind of shine we’re looking for. 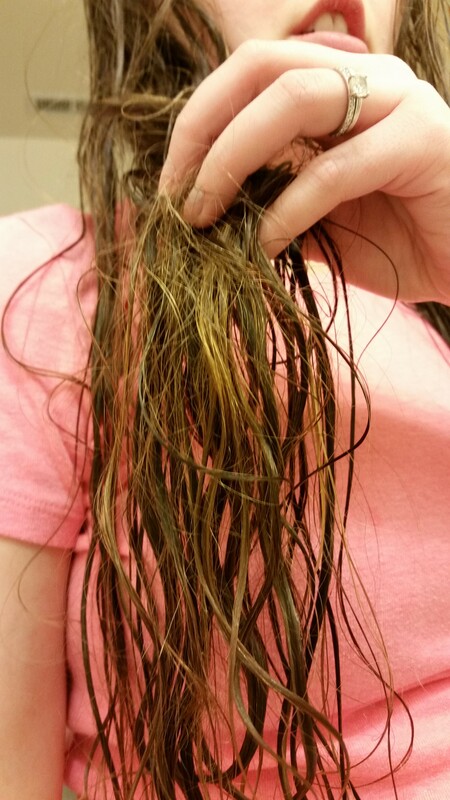 The whole thing just made me want to rewash my hair. Post oil application which creates an oily, greasy, unclean feeling. Something I also found odd was that the largest portion of the text on the bottle, minus the ingredients list, is all about the creator. There’s only a few lines actually describing the product itself. That’s nice that the owner was a word-renowned hairstylist in France back in the 1950s, but tell me how fabulous your product is. I can Google him. Bottom line, I’m not a fan and this product wasn’t for me. There are some who may absolutely love it, but it definitely wasn’t my cup of tea. I received these products free from Influenster for testing purposes. I was not compensated for my review. 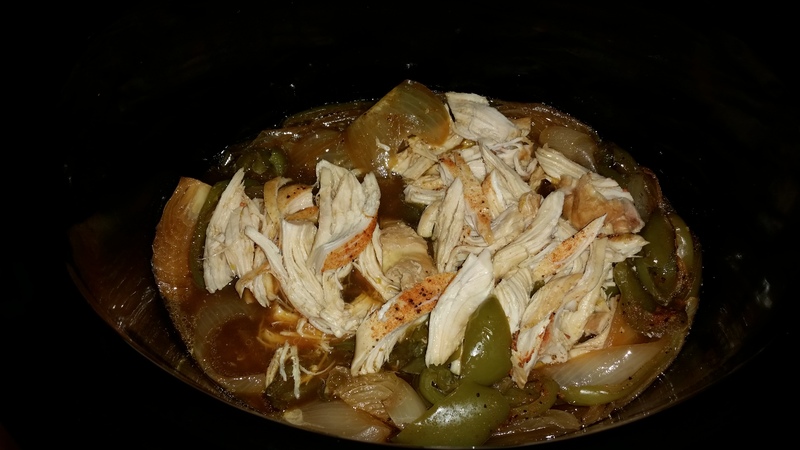 Spray a 3 – 4 quart slow cooker with non-stick cooking spray and turn to LOW heat. To get this thing rolling along, I first sprayed my slow cooker with Coconut Oil non-stick spray and turned it on low. 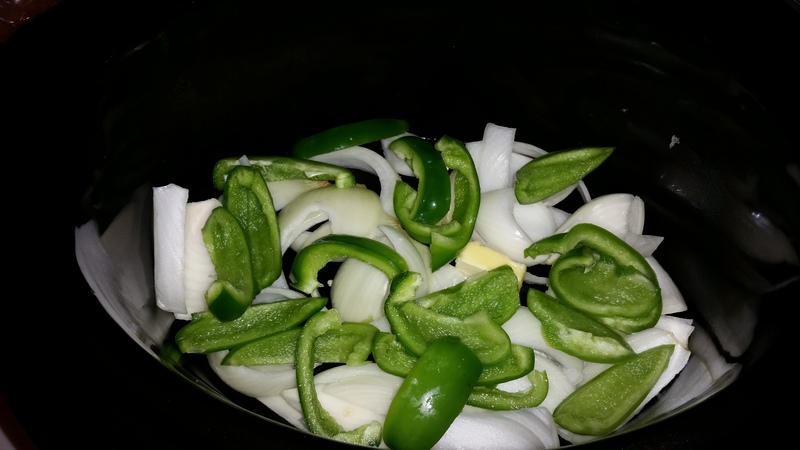 I then added my butter to the slow cooker and allowed it to heat while I sliced my onion and green peppers, tossing them in once sliced. 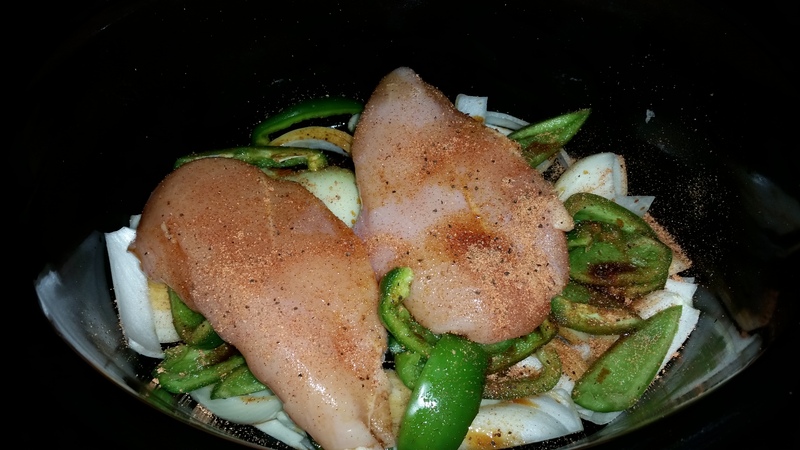 Next it was time for my chicken to go on top of the onion and peppers, followed by the steak seasoning and a sprinkle or two of salt and pepper to add additional flavor. 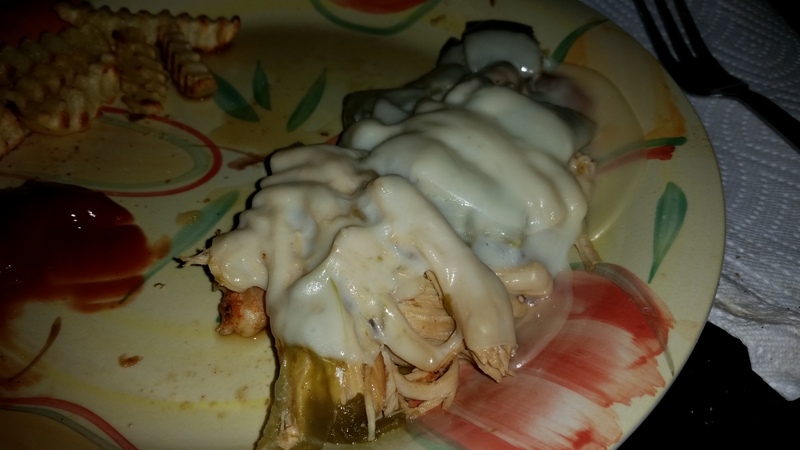 I let the whole thing cook, covered, on high for five hours and once finished, I shredded the chicken using two forks, spooned out portions and covered each with a slice of provolone. Since the chicken was warm, the cheese easily melted. Now, you could use a hoagie and make more of a sandwich, but being gluten free, I went breadless and it worked just as well. The chicken had a great flavor and easily shredded, plus the cheese added a nice sweetness to the spice of the seasoning and peppers. Plus, once all was finished, I had minimal mess which was nice because I needed to pack up that crockpot to be moved a few days later with all of the other stuff. I do not own this recipe. This post represents my experience and take on a recipe found at FoodFamilyFinds.com.